Soaring across the sky and shooting down enemies and missiles is the crux of a handful of games but few do it to the tune of electronic dance music (EDM). 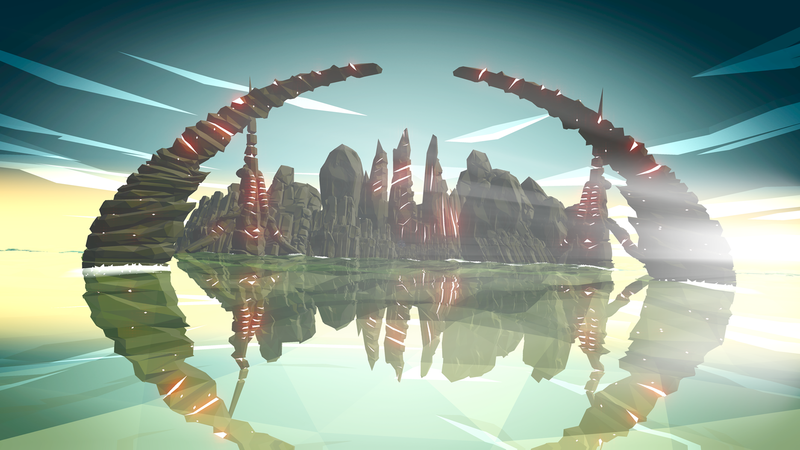 Aaero shines a spotlight on EDM as the game explores 19 different tracks across beautiful and varied backdrops. 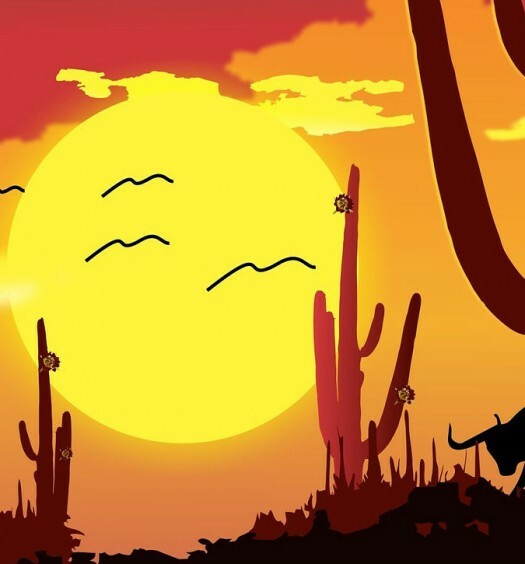 It is a twin-stick rail shooter that thrives on its ability to be fun after just a single attempt at a song but offers great depths to those willing to commit more time. The passion of the two-man team at Mad Fellows is apparent in the first song, and a clear dedication to the concept is evident. Even more importantly their passions show in the exciting chances they took in much of the game’s level design. 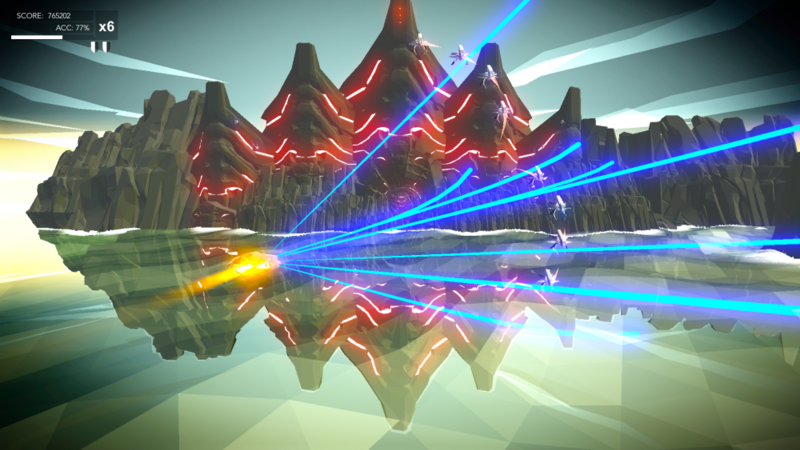 The heyday of music games may be in the past, but Aaero offers a new take that seeks to inject new ideas into the scene. It’s just a question of if they stick. It captures the feeling of EDM music – I’m flying so fast that I can barely recognize the scenery outside of recognizing the enemies I need to shoot down. Everything zooms with such speed that I can’t help but sit in a near-paralytic state waiting to glide to the finish. 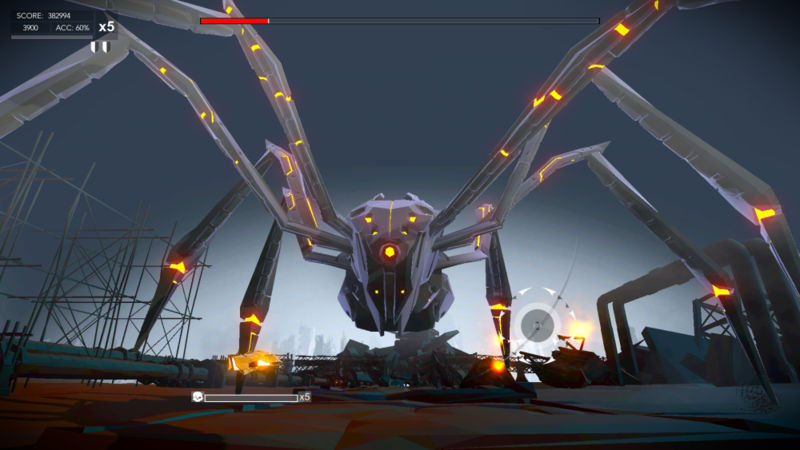 Each level has a different futuristic-techno style look that evokes a sense of seeing EDM in a visual representation. Every little aspect of each level demands my attention as my ship flies by, but I have no attention to give as my thumb struggles to hang onto the joystick. Their screams for attention carry into the few breaks of the songs, but even when a respite came, I never shook the feeling that I was under attack and needed to be fully aware. Each song gains even greater levels of intensity when played with headphones connected and gives the act of finishing a song an incredible feeling of victory, regardless of the score. The music – I musically join each song of Aaero by flying over ribbons that float across the screen while making twists and turns within a circle. There’s no plastic instrument that needs to be bought to enjoy Aaero, as Mad Fellows intuitively use the controller that comes with every Xbox One. The left joy stick controls the flight of my ship, and the right joy stick controls my cross hairs for combat. I can fire up to eight shots at once, and they always hit their targets on the beat. Everything feeds back into the song and highlights the musical attributes of each song. While there are songs I didn’t care that much for the controls and look of each level drew me into a point that I could gain a deeper appreciation of each song even if it weren’t my favorite. 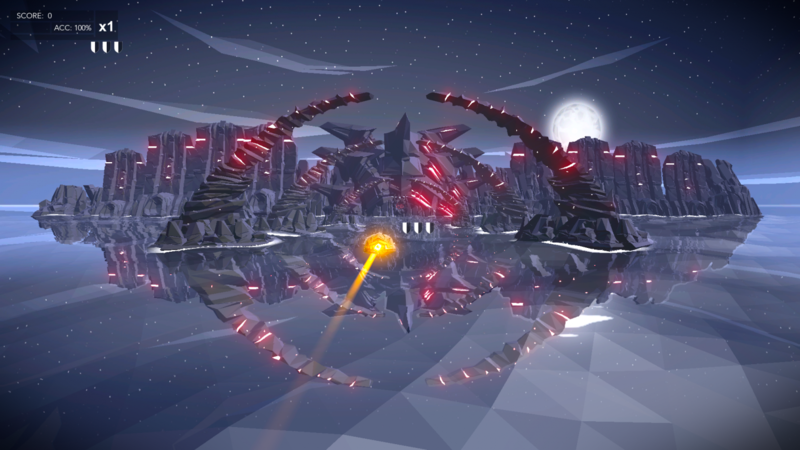 The sense of skill – Progressing through the Normal and Advanced difficulties of Aaero is a challenge that requires a greater and greater mastery of the controls as the game progresses. I could feel my skills growing with each hour I played and the satisfaction I felt with getting better was immense. Working on personal high scores and competing on global leaderboards makes each new run feel even more rewarding. There were only a handful of people on the leaderboards during the time of review, so the game’s competitive nature is sure to grow upon launch. And while getting through the Normal and Advanced difficulties is a great display of skill, getting through the Master difficulty is a true display of heroic strength. It’s fair but demanding in the 100% perfection it seeks, and while it’s certainly not for everyone that is a game mode that will fit just right. Lack of custom options – There are four different modes in Aaero: Normal, Advanced, Master and Chillout. All songs are immediately unlocked in Chillout mode and can be played through with no risk of failure. Stars are earned by playing songs in Normal which unlocks more songs in Normal and eventually unlocks the Advanced mode. Earning all of the stars in Normal and Advanced will unlock the Master mode. Because of the way songs are unlocked in the Normal and Advanced modes, I found myself playing songs I wasn’t fond of again and again to gain the full amount of stars per level because I had no other options presented to me. Each mode features the same songs but with a greater level of difficulty and I found myself wishing there had been more custom options. The ability to set the number of lives along with the level of difficulty either in a separate game mode or in the Chill out mode would have gone a long way to adding longevity to the game. How much do you like EDM? – There are 19 songs in Aaero, and before my time with the game, I knew one of them (“I Can’t Stop” by Flux Pavillion). As with most music games, I soon learned that there were a few songs I didn’t care for and a handful that was I fairly passionate about. Every game mode features the same 19 songs which mean some songs get played far more often they should. It doesn’t take very long to hear every song which leaves it feeling like a playlist has gone on repeat far too early into the night. Aaero is a wonderful introduction to the varied world of EDM with each level being a beautiful visual representation of the song being featured. Its greatest misstep is the smaller selections of songs available which prevent the game from being more than an introduction to the genre. Gaining mastery over a song evokes a sense of accomplishment that is unfelt in most other music games, in large part, due to the way Mad Fellows captures the sense of EDM. Unfortunately, the lack of customization options make return trips to the game less likely, but even those with no familiarity with EDM should make at least one trip to check out Aaero. Aaero was developed and published on Xbox One by Mad Fellows and Reverb Triple XP. It was released on April 11, 2017, for $14.99. A copy was provided for review purposes.